Explore four massive worlds with over 15 original levels encompassing four continents. Your arsenal includes: pistols, magnums, a shotgun and uzis. Battle wolves, bats, bears, alligators, raptors, and even a T-Rex in your quest for the Scion. 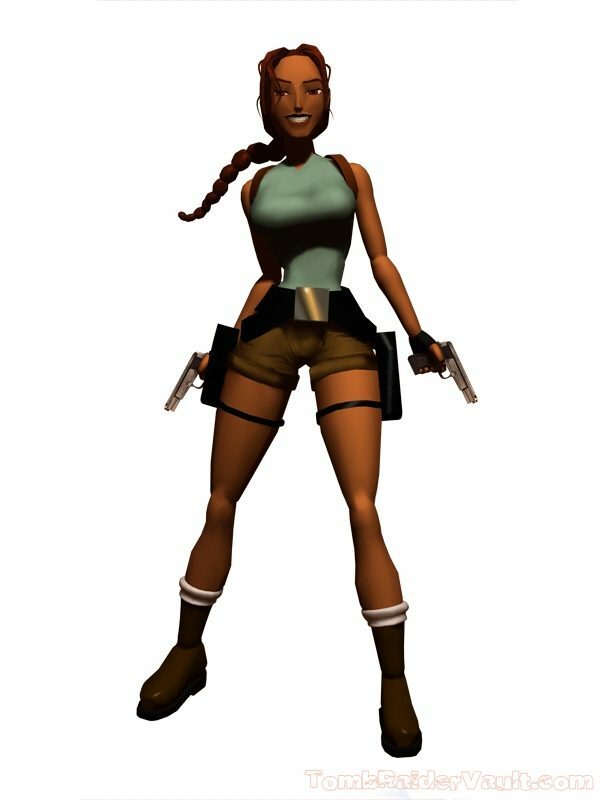 Over 5,000 frames of animation on the main character, Lara, alone. State of the art intelligent third person perspective cinematic camera system. The first real 3D interactive exploratory adventure. Lara Croft, daughter of Lord Henshingly Croft, was raised to be an aristocrat from birth. After attending finishing school at the age of 21, Lara’s marriage into wealth had seemed assured, but on her way home from a skiing trip her chartered plane had crashed deep in the heart of the Himalayas. The only survivor, Lara learned how to depend on her wits to stay alive in hostile conditions a world away from her sheltered upbringing. 2 weeks later when she walked into the village of Tokakeriby her experiences had had a profound effect on her. Unable to stand the claustrophobic suffocating atmosphere of upper-class British society, she realised that she was only truly alive when she was travelling alone. Over the 8 following years she acquired an intimate knowledge of ancient civilisations across the globe. Her family soon disowned their prodigal daughter, and she turned to writing to fund her trips. Famed for discovering several ancient sites of profound archaeological interest she made a name for herself by publishing travel books and detailed journals of her exploits. After Lara Croft returns from a hunting trip in the Himalayas, she is contacted by Jacqueline Natla, a conniving businesswoman who convinces Lara to recover a mysterious artifact from the tomb of Qualopec in Peru. Wasting no time, Lara sets out on her quest to find one of the three pieces of the ancient Atlantean Scion, a talisman of incredible power. However after discovering the fragment, things get ugly when Lara finds herself face to face with one of Natla’s hired goons. Using her cunning wits and athletic strength, Lara escapes. As she delves into the reasons why Natla would double-cross her, she uncovers a mystery that reaches back before the dawn of recorded time to the treachery that destroyed the Atlantean civilization and the disasters that struck the world when it fell.